Low unemployment rates and an increase of 10 cents to the average wage is making the job market more competitive. But even in this environment, 61% of small business employees said they would give up benefits for a pay raise, this according to QuickBooks’ 2018 Small Business Pay & Benefits Report. In addressing pay and benefits, QuickBooks is pointing out an issue many small business employees are forced to compromise on. The choices are hard and they depend on several different factors including being single or married, children, age and more. For small business owners, payroll is one of the biggest challenges they face, especially in this economy. But businesses have to address the needs of their workforce by engaging with them to determine if they can meet their demands. 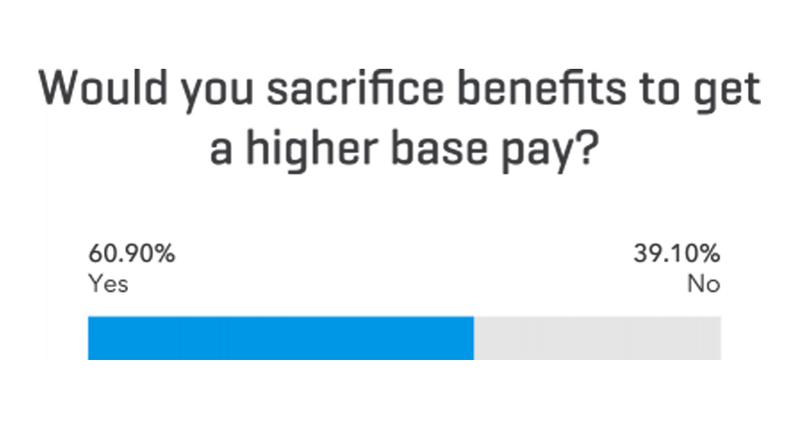 The majority of the respondents or 60.9% said they would give up their benefits to get a higher base pay. This data also goes hand in hand with the 54.7% who said they would accept a job without benefits. For small business owners finding the right balance between pay and benefits is getting much harder because employees have more opportunities now. And with almost half or 47.5% of employees feeling like they are underpaid, there is no doubt they are likely exploring greener pastures. The issue of pay was also addressed to determine if it has kept pace with the cost of living. Again the majority or 64.8% said no. 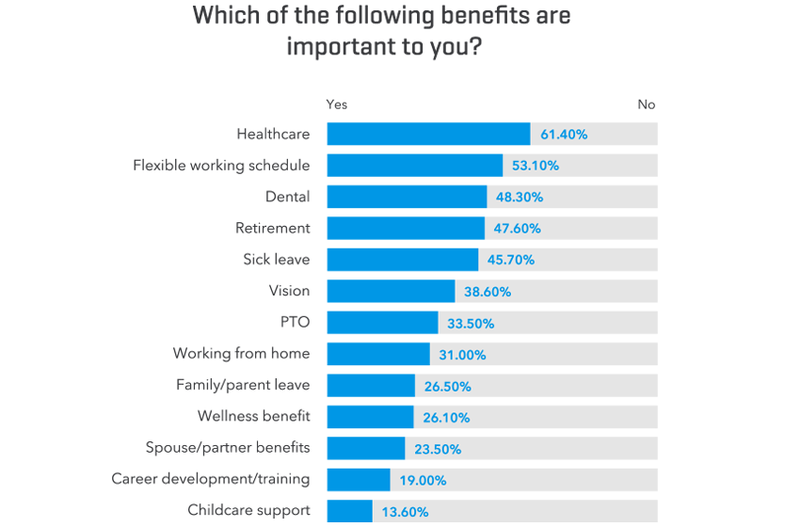 When it comes to benefits, healthcare was deemed important by 61.4% of the respondent. Flexible working schedule was next at 53.1% followed by dental at 48.3%, retirement at 47.6% and sick leave rounding up the top five with 45.7%. Again finding the right balance is difficult because 55% of employees said they would leave for better pay while 52% would leave for better benefits. The QuickBooks survey looked at a particular segment of small businesses, those with no more than 20 employees. It is important to note these companies make up 17% of small businesses, which employ more than 5 million people. 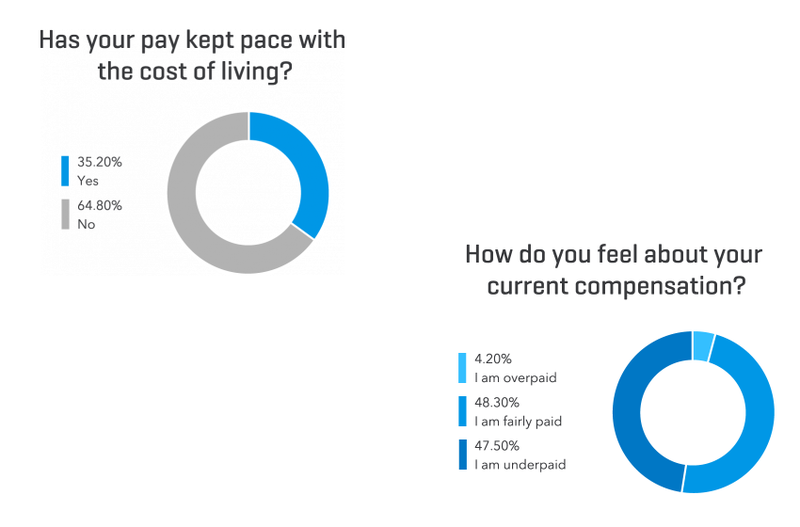 The survey was carried out with the participation of 1,000 US employees with the goal of looking to find out their current pay and benefits as well as what they would like to receive. QuickBooks wants small business to use the findings in the survey to better help them hire and retain talent in this tight job market. 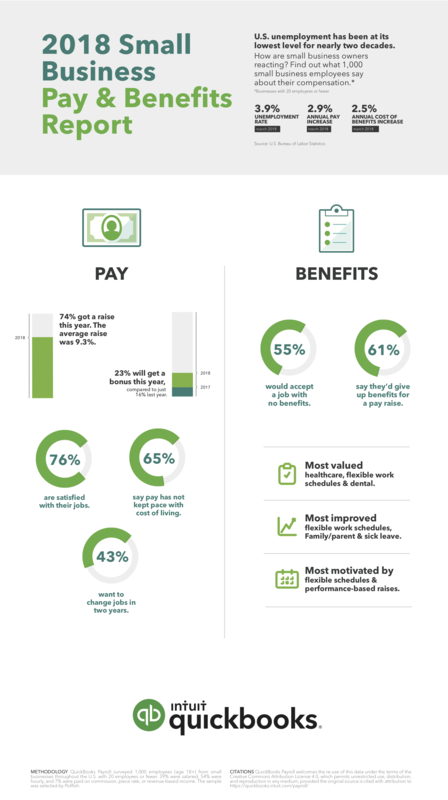 You can look at some of the other data on the infographic below and read the full QuickBooks’ 2018 Small Business Pay & Benefits Report here.